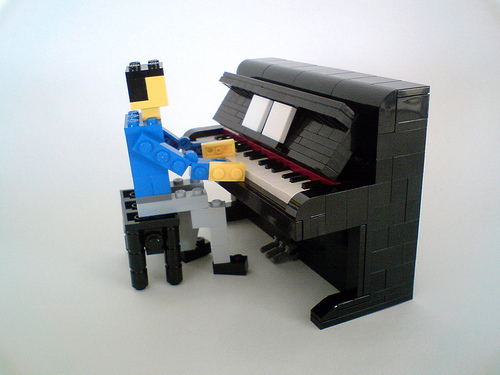 This miniland pianist tickles the ivories and my heart. That piano is gorgeous. Tiago Catarino composed a nice one here. I’ve never been a big fan of miniland-scale creations, but as I look upon these more often, I appreciate all the fine detailing and articulation that go into them. Very nice piano, and the keys really look like the real thing. With other details like the pedals, this is a very nice creation. My only recommendation would be to put some music dcals on the sheets. Excellent though!